Are you thinking that maybe your business should outsource office cleaning? A clean office is beneficial in many ways, and it is important to keep a clean and healthy work place for both your clients, and your staff. But the question remains, should you hire your own staff, or outsource? Here are some reasons we think it is better to outsource office cleaning. If you are reading this, my guess is that your business isn’t cleaning offices. So why would you want to hire staff, buy equipment, and uniforms, and deal with that? If you outsource office cleaning, you will get a trained staff, all the equipment, scheduling and expendables from the cleaning company. The staff that shows up to clean you office will be professional office cleaners. They will know all the necessary techniques, and will have gotten the needed training. You can rest assured that when you outsource office cleaning, you are getting a professional cleaning crew. Doesn’t it bug you when someone calls in sick for work on a day that you really needed them there? Well, if you outsource office cleaning, the company you contract with supplies the cleaning crew, and has other people on hand that they can shuffle around when someone calls in sick. And the fill in person will be just as qualified as the person who called in sick, so you know the job will still be done, and done correctly. You will also not need to worry about hiring cleaners. A good office cleaning company not only trains their staff, but also does full background checks on new hires. 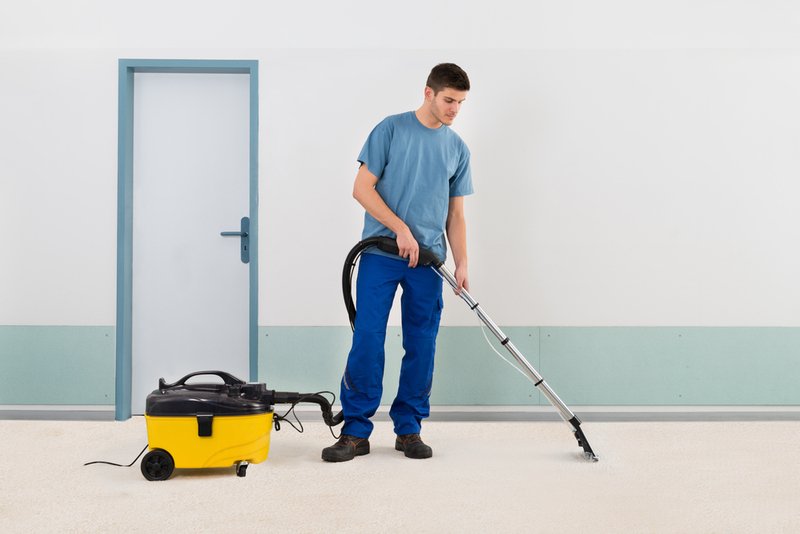 You will know that all staff that comes into your office to clean is held to the highest standards. If you try to hire your own cleaning crew, the budget can get out of hand. Besides buying equipment, expendables, and uniforms, you also need to make sure the staff is getting enough hours that they don’t leave for a more lucrative job. When you outsource office cleaning, you can get as little as 1 cleaner in your office for 1 hour a week, up to dozens of people all night, every night. It is up to you. You can also change this as time goes on to suit your needs. Need extra cleaning in the busy season? Need less in the slow season? all it takes is a phone call to change your service plan to whatever suits your needs and your budget. Another benefit when you outsource office cleaning is that, when you pick the right cleaning company, it is good for the environment. Many cleaning companies are concerned about the environment. When cleaning is your job, you have time to research the most environmentally friendly practices, and chemicals to use when you are cleaning. So when choosing a cleaning company for your office, look for one that offers sustainable, environmentally friendly services and know that you are helping the environment while keeping your office clean, and taking the stress of worrying about cleaning off of your shoulders.